A ballet dancer is tormented by visions of a masked figure. 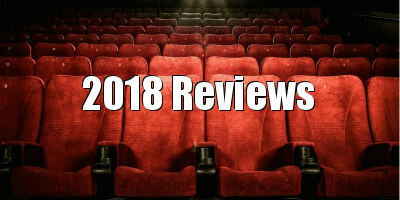 From the thriller Red Sparrow to the recent Suspiria remake, not to mention Black Swan, dancers have held a fascination for filmmakers intent on making a dark but arguably visually-arresting movie. 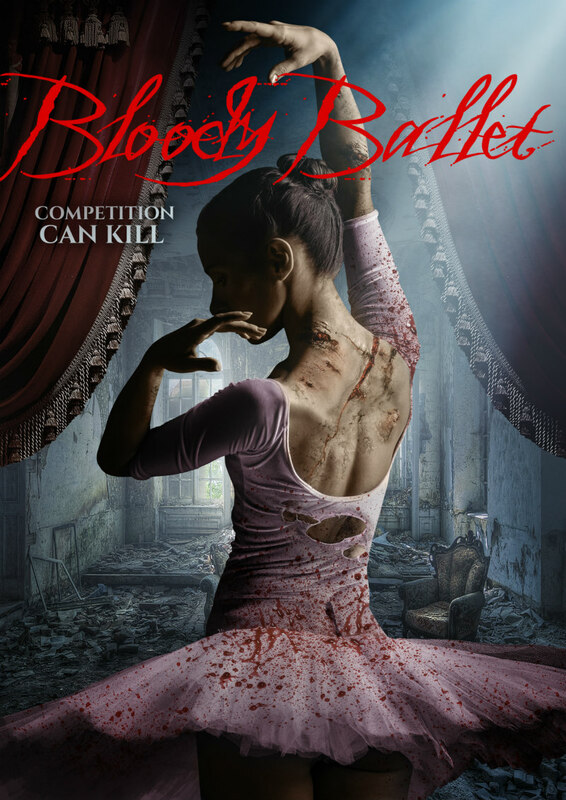 In this pursuit, Bloody Ballet is no exception. A child’s figure stands alone in the snow while '80s prog rock plays in the background. In delicious slow motion, a policeman approaches her; and she blankly gazes out from the back of his cruiser while a radio announcement over the image of eyeless dead bodies tells us the "the killer is still at large despite the massive police search." Flash forward 20 years, it's now ballet class and a young ballet dancer (Adriana, the young waif in the snow) is tormented by visions of a tall red figure in a white Japanese mask. She wakes, panicked, in her bed - it's a nightmare. Taking herself off for a well-deserved therapy session, she tells her psychiatrist about the dreams she is having in which that red-clothed figure kills everyone she knows. Using the scene as exposition, the script calls for her to explain all that is going on. It appears she is to star in ‘The Nutcracker’ this year, which is the first year that Elaina, the usual star of the ballet, is not the lead. She explains she’s having terrible visions and anxiety. They discuss the experimental drug for tension and stress her psychiatrist has her on, and she wonders why it isn’t working yet. The therapist advises her that it just needs more time. While sitting down to a frankly ridiculously enormous plate of pasta (especially for an aspiring professional ballet dancer) with her best friend Berna, she decides to share her troubles. However, they’ve only just begun eating when she runs in fear from a vision of worms on her plate while her friend just gives attitude to the other diners and continues to eat instead of ensuring her friend is okay. The film takes a moment to sidle into another tangent - we are shown a man renting an old asylum where he's warned to "take care talking to the children." It is not clear what bearing he has on the ballet story but soon we see him having dreams about Adriana. He dreams about her dancing, and in one of his frequent and odd soliloquys says he can’t stop thinking about the beauty of her, the saltiness of her skin etc. which just comes off as a little creepy. Next we see him sitting in the courtyard when she appears beside him; he runs for her but she gets away. Damn those visions of his! When we finally get into the ‘bloody’ part of this bloody ballet - the first attack by the masked killer - it’s brutal, it’s violent, it’s gory and it’s pretty damn good. There’s some brilliant effects used in a bath scene that’s as disturbing as it is nonsensical, but alas shortly after this, things go downhill fairly rapidly. The finale is jumbled, silly and preposterous, not to mention the ham-fisted voiceover explaining everything you should have already gleaned form the film and none of the stuff you actually wanted to know. Argento has nothing to fear here. The acting is a mixed bag - young Kim Catrall lookalike Kendra Carelli, who plays Adriana, does her best and mostly succeeds with some tough material, and Katie Carpenter as best friend Berna fares strongly; others, such as the weak Debbie Rochon as Dr Cassinelli, mystery man Rob Springer and Jae Hitch as Elaina fail to impress. Some of the effects and gore are well done and others (mostly the eye removals) just appear cheap; though someone should tell writer/director Brett Mullen that eye removal would not actually kill a person. It’s also awkward to point out but these actresses, particularly Berna, do not possess ballerina bodies. Though I am not suggesting films populate their cast with painfully thin actors, when set in the ballet world it would add to its authenticity to cast actors who look like they would be dancers. I’m unsure if this supposed to be set in any particular era; the awesomely retro music and neon title credits are not enough if you don't continue the '80s theme throughout the film, but I cant imagine why you’d have them if your intent was not to place this film firmly in that era. The lack of follow-through there is disappointing. The puzzling plot does this film no good and neither does the amateur acting and lack of characterisation, but there is no denying Mullen's visual gift. Some of his work here is just exquisitely striking, the careful framing and lush aesthetics creating artwork on the screen. The embracing of the Giallo colour palates and deliberately grandiose set pieces is expertly done. It will be good to see where this visionary director goes from here, though I think it’s best if he leaves the script to someone else and concentrates on where his strengths lie. Bloody Ballet is on VOD now and DVD December 4th.